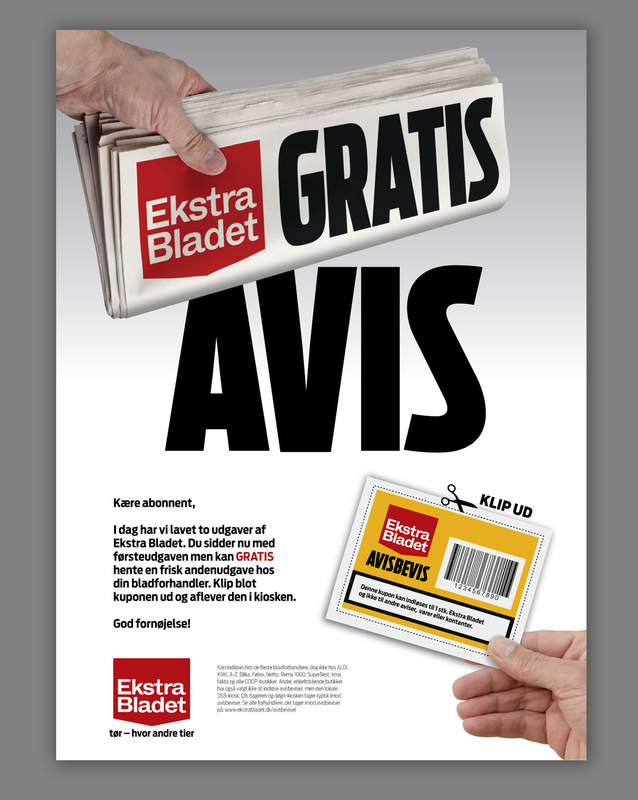 Ekstra Bladet Set-up for handling second edition newspapers in case of breaking news or late night sports events. Subscribers always receive the first print edition but they can get the second or even the third edition for free using the coupon with barcode printed in the first edition. The set-up includes a workflow design with template editorial ads in various formats, making it possible for the layouter quickly to place the ad together with a unique barcode in the coupon as the newspaper is going through final edits just before print.